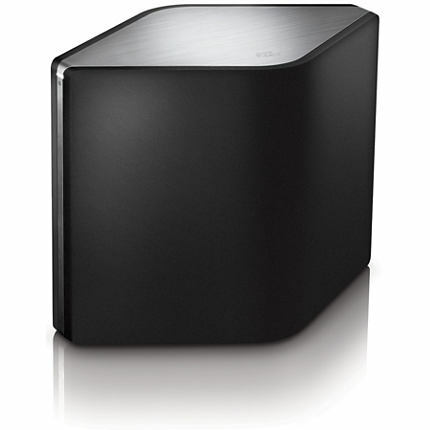 The Philips AW5000 or Fidelio A5 is a wireless speaker that connects to your network through LAN or WIFI (802.11n). The AW5000 does not have a display and has only 1 button. It can be operated from your mobile device (Airstudio for Apple Ipad/Iphone or Android) or from your Windows machine instead. The only cable required to make some noise is the power cable. Philips is providing Twonky media manager as app to manage your music library and play it on the receiver. I’m sure it can work fine, but for me it’s working terribly. The software already crashes before the complete suite is loaded. My favorite music library manager is Media Monkey. Until now I haven’t been able to push music from Media Monkey to the Philips AW5000. If you succeeded, then please let me know. Last week however, I managed to push music from the Windows Explorer of my Windows 8 AIO pc, straight to the receiver. So the alternative software is available and it’s installed on my pc by default. Also in Windows Media player there’s the opportunity to push my music to the wireless speaker. As the audio quality is amazingly good given the size of the device, I’m certain I’ll use this feature a lot. The manual of the Philips A5 wireless Hi-Fi speaker (AW5000) can be downloaded here.